What happens with Ni-ou, the self-proclaimed ‘strongest fellow in Japan’ rows to China to challenge his counterpart, Dokkoi? Not what you’d expect. These two enormous bullies are big on brawn but low on bravery – and brains! Soon Ni-oi is hiding in the bathroom after hearing Dokkoi’s thunderous footsteps. And Dokkoi is duped by the false show of Nioi’s strength. Before they know ti, both bullies are back safe at home, grateful that they never had to fight. Ever since that day, when people in China lift up something heavy, they say, ‘Ni-ou!’ And in Japan they say, ‘Dokkoi-sho!’. The short accessible text makes this folktale perfect for younger children. With hilarious illustrations by an award-winning Japanese artist and the silly antics of two goofy bullies, this story proves that bigger isn’t necessarily better. In the 1990s there was a growing social and political awareness in Australia of the need to maintain strong connections and understand more about our Asian neighbours. Australia has a long tradition of Asian immigration. Asian migrants contribute to all aspects of Australian society, including contributions to Australian arts and literature. Bullying cultures were being more closely examined in schools and workplaces. The harmful effect of bullying on young people was receiving publicity. Schools, in particular, were participating in professional development and putting in place processes designed to identify and address bullying. 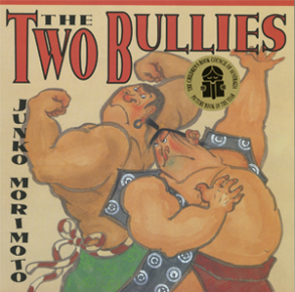 "Two bullies, one from China and one from Japan, so intimidate each other that they never actually fight. Beautifully designed and illustrated, and a CBCA Winner in 1998."